Did you just move in to a new home and didn’t find the backyard swimming pool pleasing? Do you feel that your pool theme needs to be updated? Do you often hold celebrations by the pool and think that it’s time to add more outdoor living amenities? Regardless your reason for it, pool remodeling is no doubt a huge investment. The cost you are to incur may even turn out higher than the time you had the pool installed. With that, it’s essential to decide carefully which particular remodeling job you want to focus on. The scope of the project will most likely determine its cost. Note too that while the pool is being remodeled, chances are you also wouldn’t be able to use your backyard for the meantime. Installing pool safety cover or childproofing the swim area. Whether it’s the arrival of a new family member or simply making the pool area more friendly to kid visitors, installing a pool cover or adding safety features around the pool is a worthy investment for it gives you peace of mind. Adding outdoor spa. 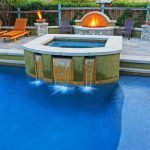 If you picture yourself staying at home for long weekends and vacations, and wish you can do more than swimming in your pool, then consider installing an outdoor spa. Be sure to inquire about the right type that matches your needs and your budget. Adding pool lights. If you want your pool lighting to be more cost-effective, then consider switching to LED lights. Adding outdoor living amenities such as a swim-up bar. Offer your guests more entertainment options or make staying by the pool area more comfortable by taking indoor amenities outside, and closer to your pool. Adding water features. Adding water features can help bring life to a pool area that otherwise looks dull. However, note that running water features may mean more splashout so be mindful of your pool usage. It’s doing your pocket a little favor as well as you get to reduce operational costs. See our previous post how you can save money from your pool. Replacing pool liner. Pool liners shield and protect the pool wall from damages caused by the water inside the pool. 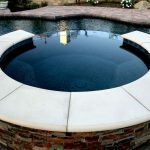 A pool liner comes in varying designs you can choose from to give your pool a new look. Redesigning pool deck. You may also want to enhance landscaping around your pool. A well-experienced landscape design contractor can help you from designing concepts all the way to completing the project. Be careful when hiring a contractor. As with any other construction project you’re doing for your home, you want to ensure that your investment is well taken care of. Pool remodeling should be handled only by professionals so you can get the most out of your investment. Make sure to look into various companies. Check out their services and most important, request for customer referrals. 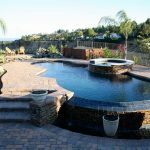 If you are happy with the project delivered by your previous Southern California pool builder, then you may want to consider giving the team extra points.